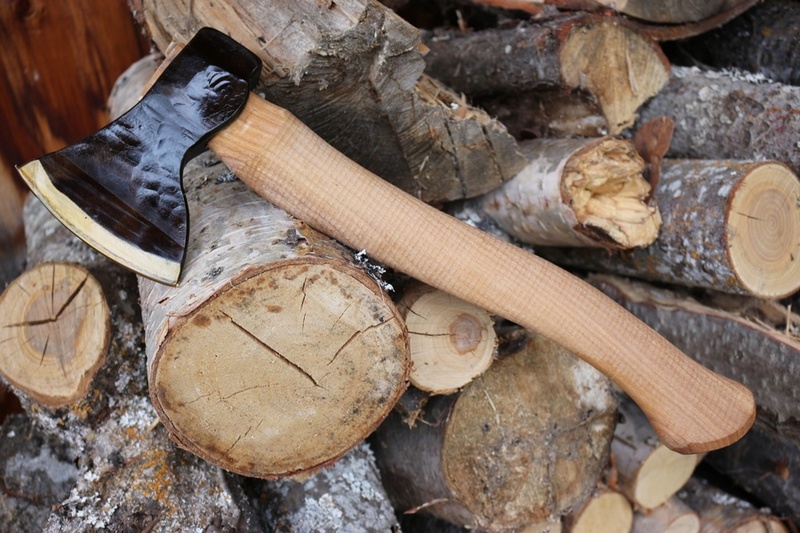 Superb Curved blade Woods Axe from Blacksmith S. Djarv. 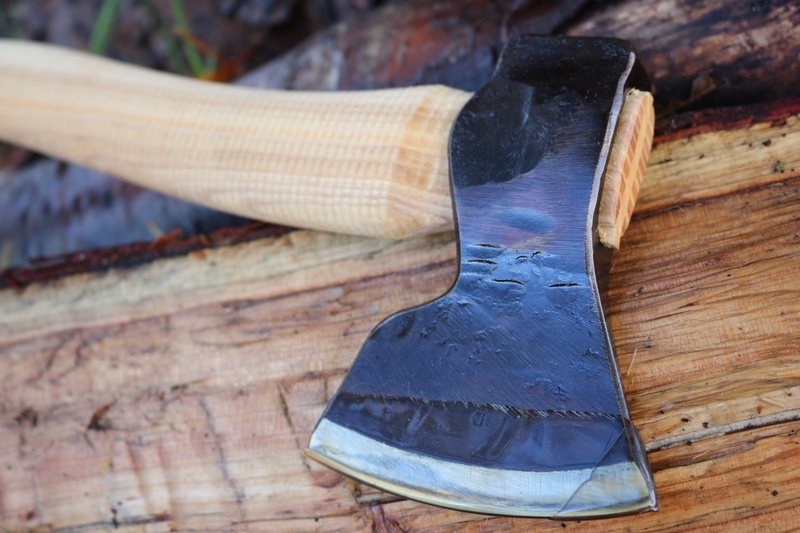 Handforged Swedish high carbon steel head (56-58HRC) with a 4in curved cutting edge, this is a superb hand made axe for cutting and carving. 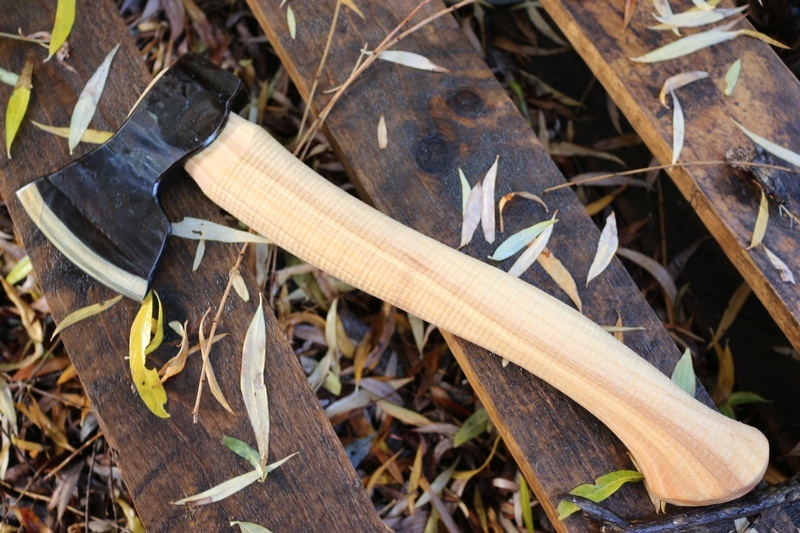 14 1/2in Overall length with a swan neck handle, lightly chequred. OAL 14 1/2in, Head 1 1/2 (approx) 4in cutting face, single bevel, both sides bevelled. Purchase through PayPal by using the "Add To Cart" button above or use the form below to order the S.Djarv Hand Forged Curved Woods Axe . Feel free to contact us if you have any questions about the S.Djarv Hand Forged Curved Woods Axe .